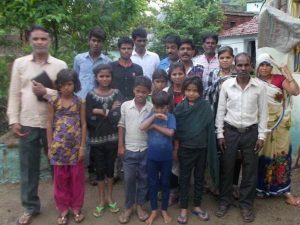 About 25 to 30 people have started attending worship at the New Church plant in Gaila Mandi. Doors were opened by a man named Badi who worked as a laborer, mending old roofs of small houses made of earthen tiles. One day while he was mending the roof of the mission’s evangelist at Makronia in Sagar area, he heard the evangelist preach the gospel to the people who had gathered in his house for the prayer meeting. The message touched him and he enquired from the evangelist about whom he was preaching. He was told about Jesus Christ and his love for us. He requested the evangelist to come to his home at Galla Mandi and preach there. In 2017 the evangelist started visiting his house where a few family members gathered. 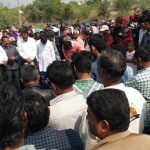 The change in Badi attracted the attention of other people living there and gradually the number of people attending the meetings started increasing. The leaders from the mission and evangelists kept going there. Attendance has increased to 25-30 and it has been decided to start regular Sunday service. About 8 to 10 people from two families are preparing to be baptized. Because of the volatile situation with extremists in Sagar area, this has to be performed very carefully. Please join us in praying for this new body of believers and those delivering the message of Jesus. 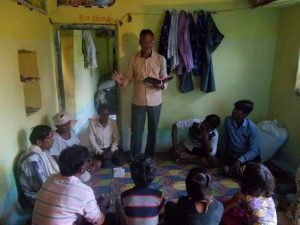 Mid India Church Partners will be posting regular newsletters and updates. 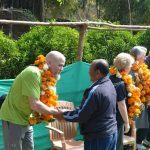 This is a great place to stay connected to the organization and see how we together are affecting change all across India.